Many tech-oriented small businesses are founded by industry experts who don’t know too much about finance. This can make certain troubles when these companies begin to grow and when founders decide to put their shares on the stock market. One of the soultions for this problem is hiring a financial advisor. 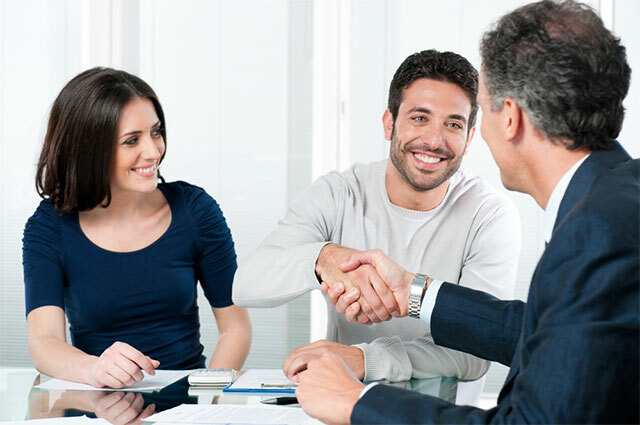 Advisor is not the same as broker, since he/she is hired by the company or individual to give advices on future investments and other financial matters. Broker on the other hand is hired by the broker company, and his/her duty is to persuade clients to invest in certain stocks, bonds, real estate etc. When choosing a financial advisor companies and individuals need to be very careful since many brokers like to call themselves advisors, at least from the 90’s when they got pressured by the discount-brokerage firms. In United States for example SEC enabled brokers to call themselves advisors, and although both Congress and Obama administrations asked for changes in these rules, nothing has been done to define the brokers and advisors roles in business more precisely. In addition to brokers individuals or companies can also bumped into a financial advisor that doesn’t have required skills, education, experience or state issued permits. That’s why asking these questions on an interview will help in choosing advisor that will fit company needs in the best possible way. Tell Me All of Your Income Sources? Lot of self called financial advisors are actually just middlemen between companies that hire them and different kinds of financial advisor’s and brokerage firms. Real advisors should have their own office. Their job is to keep company’s funds in discretionary accounts and run all kinds of transactions and investments even without explicit approval from the company’s owner and they should be paid only by their clients without earning any commissions, trailer fees and bonuses from other business entities. Do You Have Necessary Education and Experience and a Clean Track Record? These are some of the bases for being a financial advisor. Rack record can be checked by reviewing the copy of ADV Form, and risk-adjusted performance record that should be provided for the last five years of advisor’s business. Companies can also ask for the list of advisor’s clients that can be checked by calling each client individually. When it comes to education financial advisors need to have advanced degree in business, plus some special training courses. Experience is another important factor and it company officials should check the experiences of all previous employers that have something to do with the financial sphere. Do You Have All The Necessary Permits? Depending on the country where they want to open their offices financial advisors need to obtain one or several permits so they can legally work. In United States all advisors need to be registered with FNRA. There arte different kinds of permits and titles financial advisors can get that go from Certified Financial Planner to Chartered Financial Analyst and Registered Investment Advisor. If company is based in Australia for instance, it is important to ask the potential candidate did he/she passed the RG146 exam, which is the required for all individuals who want to provide financial product advice to retail clients. A while ago regular paid of financial advisor was around 1% of the company’s assets, but since the competition grew significantly in this field in last couple of decades we’ve seen a big reduction in adviser’s prices as well as transaction costs. Now by far the least expensive way to pay for the financial adviser’s services is by defining an hourly rate for their work. Are You Ready To Legally Bond to Always Act in Company’s Interests? One of the most important questions with whom employers are able to check is advisor ready to sign the statement in which he’s going confirm that he/she is going to become a company’s fiduciary. This is a well established legal principle and the statement is valuable on court in case of future arbitration.